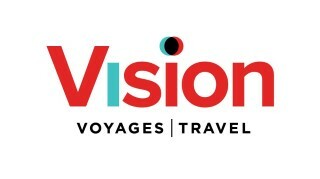 Please call 1 877 210 1085 or e-mail helena.millar@visiontravel.ca for more info or to reserve your spot on the tour. Join us on our group departure to Ireland with an emphasis on Walking / Hiking and Rambling and a little bit of running thrown in for good measure. Of course no trip to Ireland would be complete without an opportunity to engage with the local community and this tour is designed so that you will enjoy the main attractions that we all know and love including Dublin City centre, but also to showcase some of the spectacular scenery, heritage, cuisine and culture that you can only find with CIE Tours and Vision Travel. Our tour leader Garth Millar is a native of Northern Ireland and Garth has designed this tour to highlight the main attractions but also to take us to a few lesser known but equally spectacular attractions that are known all over the world thanks to Game of Thrones and include Castle Ward, Giants Causeway, Carrick-A-Rede Rope Bridge and the world famous Titanic Center in Belfast. We will have our own dedicated luxury bus for this tour as well as a CIE tours driver/guide which means we have a degree of flexibility with our itinerary unique to our group. The walking and hiking will be varied each day and will be weather dependent. Please be prepared for every weather condition as conditions can vary each day in Ireland. Hiking boots, warm clothes and a change of clothes each day is recommended. Feeling Good NB Bonus – Daryl has kindly agreed to include the following sessions to help everyone prepare for the trip and gain the maximum enjoyment from our walks / hikes available for everyone confirmed on the tour. 1) A 20 week on-line training program to help prepare for multiple days of hiking.